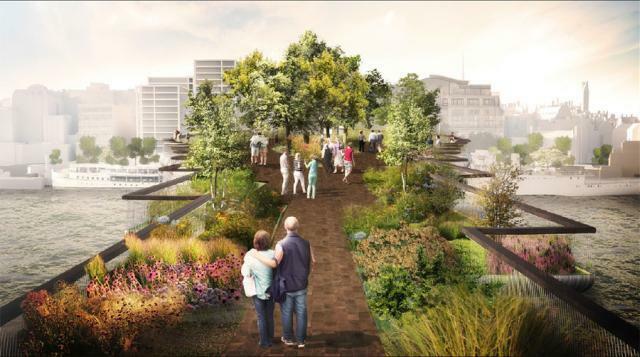 Plans for the Garden Bridge. Image by ARUP. The Garden Bridge has been branded a folly. In response, a satirical competition has been launched to design A Folly for London, that would sit (in theory) on the South Bank space that the Garden Bridge will take over. It's free to enter, is open to everyone — adults and children, pros and amateurs alike — but designs must be absurd, illogical, egotistic and obtrusive. Much like the Garden Bridge itself. While we will invite crazy, ridiculous and satirically nonsensical projects and ask people to explore their own creativity and ideas, this project aims to raise awareness of the genuine absurdity of the Garden Bridge alongside aesthetic threats to the city, financial repercussions and flaws in the democratic process. Closing dates and details of prizes are yet to be finalised, but we do know that architecture writer Owen Hatherley will be among the judges. So set your irony meter to 'preposterous' and let your creativity flow.